Reflections on how historic relationships, property & language remain in contemporary influence. Dramatic, first-hand reporting cried out from the front page of the Morning Leader at Cleveland, Ohio. It impressed Lombardi: "A terrific explosion ... one which propelled a two-thousand-pound boiler high enough into the air to crash through the roof of a three-story warehouse!" Thirty feet distant, I might observe. With "cries of distress," and "wild confusion in every direction," the writer's voice certainly conveys agitation. I'm predisposed to assist Lombardi. 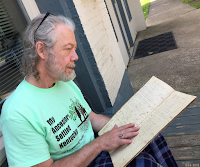 Last summer he put into my hands (left) an 1838 record of sales carried out at a Malvern mercantile venture ... operated by my 4x great-grandfather, Rev. William Hardesty (1776-1846). We assessed his sons' provisioning: preparation for a 4th of July one hundred and eighty years earlier. Mercantile operation, we'll return to that. Albert R. Haines (1826-1907) is first-listed in 'Messrs. Haines, Hardesty & Co.' I'll begin with him, culling much from Beers' Commemorative Biographical Record of the Counties of Harrison and Carroll, Ohio (1891). Ten years following his parents' arrival from Maryland; the eldest known child of that union was born about a mile northwest of Pekin, Ohio. Haines was schooled in what were no doubt rustic conditions, yet he was teaching when his father Joseph fell ill at the end of 1849. It's a poignant vignette: "His father taking sick, [Haines] was called home" – from a one-room school at Fairfield, Illinois – "but his father had died and was buried the day before he reached home." Haines was enumerated as a farmer on 15 October 1850, working his widowed mother's $2000 farm in Brown Township of Carroll County. A brother and four sisters (three not yet aged ten) extended the household she kept, in close environs of his paternal grandfather and uncle. Haines taught classes locally during winter term before risking a new vocation, to clerk in the store of Joseph Pool & Co. ... in nearby Minerva. Pool (1830-1917) was born at Minerva and "attended the public schools until seventeen years of age, when he entered his father's dry-goods store," as White informs us, in The National Cyclopædia of American Biography, Vol. X (1900). The 1850 census has Pool in Paris Township of Stark County, Ohio, eldest in his parents' household, enumerated as a Clerk. As for humble beginnings, entry for father John, Merchant, gives no value ... for real or personal estate. It seems hardly fair, to beleaguer readers with Pool's career, since relationship with Haines must have been fleeting: Pool removed to Canton, Ohio, read law, and was admitted to the bar at twenty-one ... a small window for potential collaboration. He'd left partnership at a Columbus, Ohio law firm by the time of wild confusion at Malvern: Pool had entered military service as a Company Lieutenant. He emerged from the Grand Army of the Republic in 1865 as a Lieutenant Colonel, having risen to quartermaster, and then been appointed by Lincoln to serve as a Union paymaster. Pool also emerged with strong ties to the national Republican Party. 1881 bond, NYWS&B Railway Co.
A soldier's responsibilities likely shaped Pool's trajectory. He was in New York City and President of American National Bank by 1868. After five, lucrative years at the helm, Pool traveled Europe for two years. 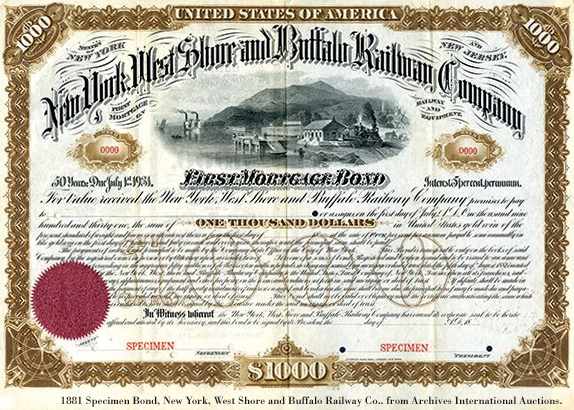 Following a five-year stint as President of The Manufacturers and Merchants Bank, he bought a railroad and in 1880 reorganized it as the plush New York, West Shore and Buffalo Railway. (Pool battled for lowest, feasible shipping rates ... with the Hudson River Railroad: Cornelius Vanderbilt bankrupted Pool's enterprise, in 1885.) The Biographical Directory of the State of New York (1899) gives but a partial list of corporations Pool ran subsequently; prior to lofty appointment as New York City Magistrate in 1897. Not bad for a Minerva boy. I'd be interested to learn whether Haines and Pool received instruction in the same rural schoolhouse: biography of their schoolmarm might be enlightening. Haines' first apparent exercise of actual partnership is to have arisen with brothers Jeremiah Gustavus (1822-1895) and William Frederic Unkefer (1828-1894), in a general store at Minerva. Family connections likely played a role in this proprietorship as well: paternal aunt Rachel Haines was mother to the Unkefer brothers. * I find it notable that family-owned Unkefer Farm Equipment Company has operated from Minerva since 1947. Haines' association with Perdue kin had certainly soured by 13 February 1856. On that date, Haines was alone in legal action against his mother, five siblings and four Perdue children born to his recently deceased sister: Haines sought to have almost 640 acres partitioned. Four parcels, in Stark and Carroll Counties, had apparently been inherited in common by the parties. The case was still being litigated in 1869. Beers' profile on Haines, published while he was yet living, informs us that, "In the fall of the year 1855 Mr. Haines removed to Malvern, where he conducted a general country store, keeping everything the farmers needed, and buying all kinds of produce. The store belonged to a joint-stock company, he being general agent and stockholder." We might postulate that this 'joint-stock company' unveils precursor to the subject of Lombardi's inquiry: A. R. Haines acted as agent for the Farmer's and Mechanic's Mercantile Association. 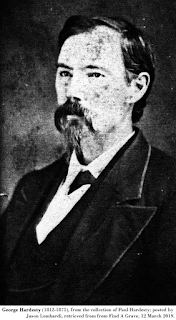 George Hardesty (1812-1875), fifth known son born to Rev. William, above [and Louisa Knouff/Knauff (1782-1850)], was President of the firm, based at Malvern. Haines married Almira Harsh (1831-c1919) at Carroll County on 25 August 1857. He succeeded Otto Henry Paessler (1829-1888) to become Malvern postmaster on 11 November that year. Haines held the post until 7 August 1861, precisely seven months prior to a one-ton boiler dropping through the Haines, Hardesty & Co. warehouse roof. We'll attend frequently to Malvern postmasters: I may be influenced by the mere fact that records exist; it may be relevant that foot traffic nicely complimented commercial trade. 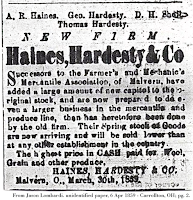 Haines, Hardesty & Co. became manifest on 30 March 1859. Notice arrived in a Carrollton, Ohio newspaper (right): "Successors to the Farmer's and Mechanic's Mercantile Association ... have added a large amount of new capitol to the original stock, and are now prepared to do even a larger business in the mercantile and produce line, than has heretofore been done by the old firm. Their Spring stock of Goods are (sic) now arriving and will be sold lower than at any other establishment in the country." Grand proclamation promised the "highest price in CASH paid for Wool, Grain, and other produce." Keep in mind the idea that partners intended for cash to circulate. Hoping to dampen wild confusion in every direction, I at this point refrain from deep depiction of identified partners, other than by naming them in order of display: Haines and George Hardesty entered association with David Hough Sholl (1828-1911) and Hardesty's younger brother Thomas (c1820-1870). I will individually elaborate on this Malvern assemblage presently. "The business prospered," observed Beers. As 'A. R. Haines,' he is enumerated on 28 June 1860 as a (new father and) Malvern merchant. His real estate, likely including goods on hand, was valued at an impressive $6800. Not yet thirty-four, he is to have held $1625 in his personal estate. The Haines household was apparently situated between the families of Cabinet Maker Joseph Fishel (1833-1915) and John Harsh Tressel (1833-1909), then a Professor at Malvern Academy. By the time of the explosion, two of four surviving daughters had been born to the Hainses. Much is made, in multiple profiles, of Haines' antipathy toward (the death penalty and) war. 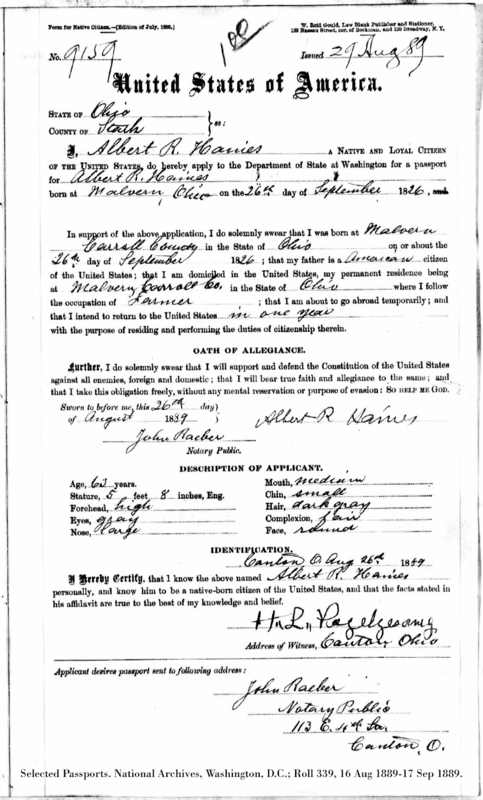 In June of 1863, he registered for the Union draft (as a merchant). But one entry separates Haines from the above Thomas Hardesty, depicted as a miller. Neither man indicated prior military service. Albert R. Haines (1826-1907), c 1890. "After several changes," in the next few years, Haines (right) "bought out the whole business, and conducted it upon his own account." A notable career followed purchase of Haines, Hardesty & Co.. In History of Carroll and Harrison Counties, Ohio, Vol. II (1921), Eckley devoted a page to the "leading merchant in the village of Malvern." Haines "became one of the most influential men in the Carroll County ranks of the democratic party." Senator A. R. Haines was among Malvern men providing the Malvern Clay Company with $6500 in capital in 1887, according to Eckley's History of Carroll and Harrison Counties, Ohio, Vol. I (1921). Evocative of the 1862 explosion, the plant burned in 1889. Perseverance paid off: a prototype paving brick was awarded a gold medal at the 1893 World's Columbian Exposition, held in Chicago. Follow-on business was rewarding. 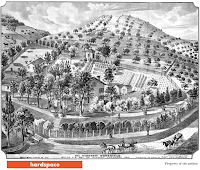 Beers divulged that Haines "owns the clay and coal land near Malvern, out of which the clay and coal are taken to the Malvern Clay Company plant, in which he is an officer and stockholder. He also owns several thousand acres of land in the State of Arkansas." By then ensconced at his 'Church Hill Farm' on outskirts of Malvern village in the Sandy Valley (see map, below), Presbyterian Haines "broadened his intellectual ken" ... by extended travel. Crossing the Atlantic in the autumn of 1889, he capped extensive and repeated domestic travel – from the eastern seaboard at least as far as Rocky Mountains – with a year-long, European sojourn. Haines visited a half-dozen "great cities of the world." By his passport (left) we can appreciate that his hair had grayed by age sixty-three. He stood 5' 8" tall. A small chin, gray eyes and large nose were set into a round face with a high forehead. As far as I know, following 1860, Haines is ever afterward enumerated as a farmer. 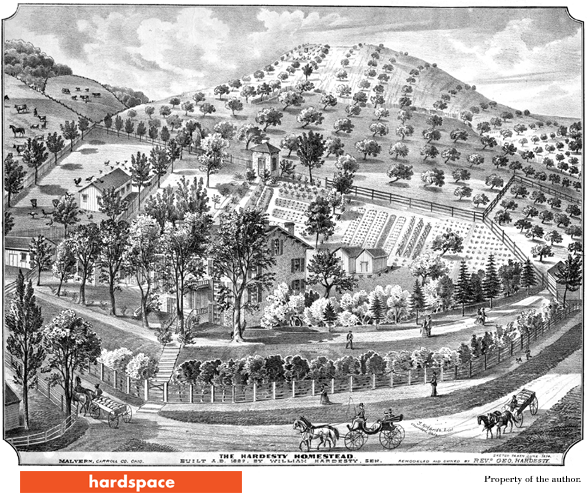 A wealthy farmer, to be sure: his 1870 estate converged on $27,000. Church Hill Farm was an accommodating place. His sister-in-law (about twenty-nine years Almira's junior) shared their 1880 household, when Hainses' daughter Joetta was enumerated a Shop Keeper for a Dry Goods Store. Empty-nesters Almira and Albert - he then aged seventy-one - listed infant Henry J. Reed as an 'Adopted Child' in their 1900 abode. I suspect Haines himself declared he "never accumulated a fortune" to Beers. Haines was ill, at the drafting of a last will, dated 8 December 1906. Almira was favored; all four daughters were to "share and share alike" following her death ... notwithstanding likelihood that specifically-allocated Des Moines and Denver properties could be expected to fluctuate in value, prior to passing through the widow's estate. Haines can be seen as a financial planner: he provided that any contesting his will should be disinherited. Haines is at rest, with his wife and three daughters, at Malvern. An impressive obelisk towers over his headstone at Bethlehem Cemetery. A dense digital array illuminates George Hardesty on line. He no doubt deserves his own post, if not blog site. Childless after 1836 marriage to Hannah Jackson Hillerman (1815-1883), three unrelated preteens shared the Hardesty Homestead at Malvern (image below), which George inherited from his mother in 1850. Hardesty was at this time enumerated as a Miller, possessed of $4000 in real estate. Three years later, W. W. Reilly's Ohio State Business Directory indicates partnership with younger brother Thomas. While their father was alive, the trio expanded from grist-milling ... to build and operate a sawmill. By 1853, the brothers expanded enterprise to become Sash, Door & Blind Manufacturers. They were acknowledged Produce Dealers at the time: I've no idea where such undertaking fell ... in terms of revenue generation. It seems George and Thomas organized themselves as 'Hardesty Brothers.' That's a name which will soon blossom into some complexity: let me say that this iteration – which included George's next-elder brother William, Jr. (c1810-1869) – dissolved by "mutual consent" at the close of 1859. Haines, Hardesty & Co. had formed in April; William, Jr. went on to develop Carrollton Steam Mills at the county seat. Initially a Whig, George, among the "legion of millers," seems to have most hallowed his father's Methodism ... and politics. Contrary to his interests as a shopkeeper, Hardesty maintained (public and) lifelong antipathy for intoxicating liquors. A credentialed delegate (as was future U.S. President Rutherford Birchard Hayes), Hardesty played a role on the Permanent Organization Committee at Ohio's Republican Party convention of 1860. They nominated 'Honest Abe' for President. George and Thomas Hardesty were each enumerated with at least $13,000 in real estate in the 1860 census. Each held nearly $5000 in personal estate. The accumulation is stunning, a decade after their mother's estate was settled. Particularly when it becomes apparent that the two brothers were three- and in several instances sixteen-times wealthier than siblings. It's unclear whether wealth parity reflects fifty-fifty partnership between George and Thomas. In November 1858 (eight months after proposing formation of an historical society at Carroll County), George was solely associated, publicly, with screaming notice of Hardesty's Mammoth Stove and Tinware Establishment at Malvern (right). Reading deep into the ad, it becomes apparent that, at harvest, "everything in the produce line, that can be bought, sold or eaten," will be taken in payment: if this is not the Farmer's and Mechanic's Mercantile Association, the enterprise is in conflict with it. 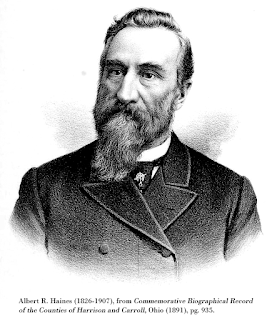 George Hardesty was Malvern's first Mayor when the 1870 census was taken. 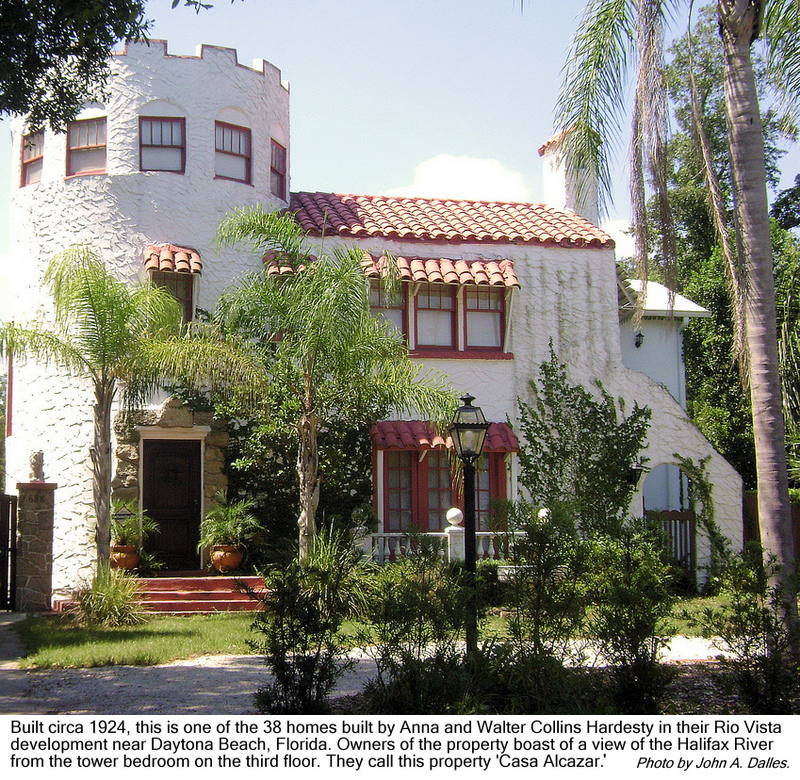 Haines, Hardesty & Co. remained a going concern, but mercantile operations may have contributed less to his net worth ... of an astounding $41,000 in real estate, and thousand dollars in his personal estate. The current iteration of the gristmill his father had started was valued at $25,000 (and milling $15,000 worth of George's own grain, annually). Calamity re-visited Malvern. Hardesty's adjacent, water-powered woolen mill (indicated on Atlas map, below) had not been insured when it burned in the summer of 1869, but would soon return to generating income. The sawmill, also on water diverted from Sandy Creek, was valued at $5,000: it had by then become complicit with a barrel factory, and generated $3000 annually. The two operating mills employed a half-dozen Malvern men, year-round. 1870 was not entirely a banner year for George Hardesty. 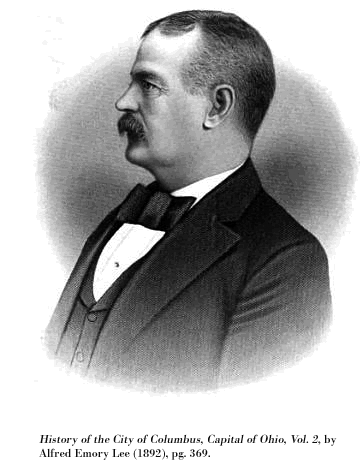 Embracing speculation, he invested sufficiently to be made a Director for the Baltimore, Pittsburgh, Continental & Chicago Railroad. According to History of Morrow County and Ohio (1880), the firm "died a natural death" two years later. Boosters had been unable to convince local investors to finance the laying of track in their environs. Hardesty Homestead, as George had constituted it, was valued at $10,000 in 1870, when including improved acres under cultivation. The image (left) was published by Hiram Hubbard Hardesty (1822-1898), the (youngest and) only son of William and Louisa not to pursue milling in adulthood. 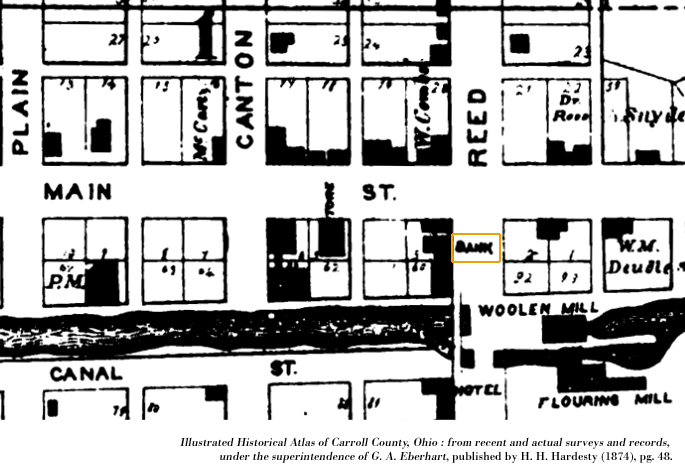 In his Illustrated Historical Atlas of Carroll County, Ohio (1874), Hiram – enumerated as an 'Atlas Peddler' in 1870, with combined net worth of less than $2000 – described brother George as a 'Miller and Banker.' The designation may have been in response to Haines, Hardesty & Co.'s lending capacity. "Even those who come with nothing but CASH, "will not be turned away,"" concluded the tinware ad (above) that went out over George Hardesty's name in 1858. Mercantilism, and buying and selling produce, may have, by 1870, given way to drawing greater profit from reinvesting cash accrued in that core business. Hardesty (right) shared this with Haines: both are to have abstained from alcohol. Hardesty's good works become more evident to me late in his life. 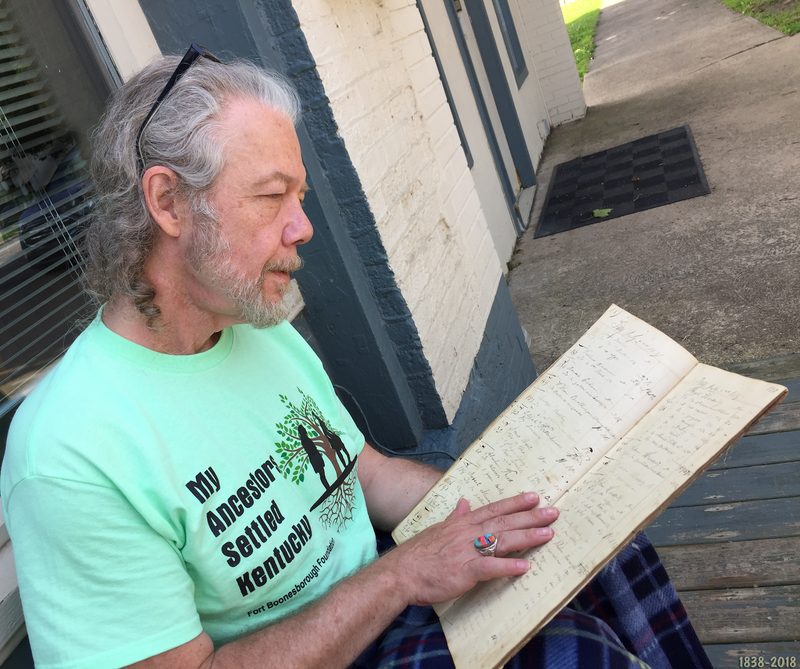 He was in 1873 styled 'Reverend,' when helping retire $1122 debt for brick construction of the still-standing Methodist Episcopal Church at Malvern. By the beginning of 1875, bacterial infection (which likely inflicted facial blemish) began to seriously debilitate Hardesty. He'd acquired Union Mills at Van Wert, Ohio ... and been active in establishing a schoolhouse there. George died in March of that year. He and Hannah also repose beneath a fine obelisk ... in a private cemetery atop the hill crowning Hardesty Homestead. Third-mentioned in Haines, Hardesty & Co. was David Hough Sholl (1828-1911), who succeeded Haines and was serving as Malvern postmaster when a rocketing boiler landed in their warehoused corn. Pennsylvania-born to German-born parents, "he removed to Malvern ... in his boyhood," according to a finely printed death notice offered online, without citation, by descendant Anne Louise Robinson Moore. "At the beginning of his business life Mr. Sholl was a carriage manufacturer building the vehicle complete from the shaping of the nails upon the anvil to the finishing coats of paint. Later he engaged in general merchandising." His biographer amplifies a thread which tethers some in this cast of characters: "Mr. Sholl was a member of the Masonic lodge, having joined in Minerva while a resident of Malvern. With his characteristic zeal he traveled the five miles distance between the two places many scores of times ..."
A 'life-long Methodist,' Sholl married German-born Maria Engleman Paessler (1831-1924) at Carroll County in 1850. She was younger sister to Otto Henry, above, who had succeeded their father, Christian G. Paessler (d 1856), as Malvern postmaster; a position Christian held from 8 July 1854 until his death. The 1850 census offers Christian and Henry as modest Carders and Fullers, no doubt preparing fibers for George Hardesty's woolen mill. ** Visited just thirty days prior to their marriage, David and Maria are enumerated in parents' adjoining Scholl and Paessler households. Brother millers Phillip Willard and David Hardesty, who straddle Thomas in birth order, each maintained households in Paessler environs. Sholl was in 1850 more likely shaping nails: as Blacksmith, he was learning from his brother Jacob, Jr. ... then described as a Wagon Maker. Their father almost certainly worked in a Hardesty mill. Maria had inherited by the time of the explosion According to the 1860 census for Malvern she held $400 in real estate in her own right. Sholl, enumerated as a Clerk, was also possessed of $400 in real estate, and holding $1000 in his personal estate. The couple had three young daughters in common. Among Haines, Hardesty & Co. partners, their father likely held the fewest shares. Sholl had resources, however. He was subject to two, Civil War era drafts; Union records describe chronic stomach disease: "conditions of health compelled him to send paid substitutes" confided his biographer. 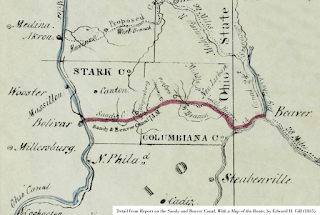 Sholl is to have moved to Van Wert in 1864, eventually retiring to Chicago, where he died. Let us have him depart our scene. He and Maria lie in unmarked graves at Woodland Union Cemetery, Van Wert. Last-named in Haines, Hardesty & Co. announcement above was Thomas Hardesty (c1820-1870), whose entry appeared proximate to Haines' in the 1863 draft record. Among Rev. William's progeny, seventh-son Thomas' career can be distinguished: "Milling was his principal occupation but he also became interested in the banking business," wrote Lee. Thomas married Mary Jane Collins (b c1820) in 1840. Only twenty-one households were enumerated in Malvern proper that year. Hardesty brothers account for four of them, six years after their father platted out the town site. If location can be derived from this record, the couple were situated between Jacob Sholl, Sr. and three, elder Hardesty brothers [George and my 3x great-grandfather John (1805-1878) among them]. All four surviving children had been born to Thomas and Mary Jane by 1850 ... when his real estate was valued at $3750. His occupation is listed as Miller, though father William had modeled speculative venture in which sons were vested. Thomas was, by 1848, registered owner of the canal boat 'M. Adams of Malvern.' Eldest brother Adam Hardesty (1802-1859) persisted as a 'Boatman' in 1850, though brother Isaac (1822-1897), whose home likely sat beside Thomas', no longer captained his canal boat, 'Malvern:' Isaac was enumerated as a Clerk in 1850. 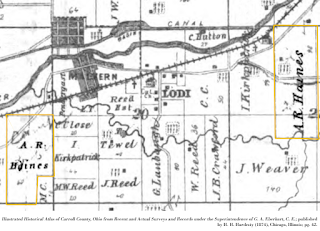 In 1834 "when it was almost a certainty that the Sandy and Beaver Canal (route, left) would pass [through what was then Stark County] Hardesty platted a town ... and named it Troy," reported Gard and Vodrey in The Sandy and Beaver Canal (1952). William Hardesty's town site would be re-named 'Malvern.' Hardesty had invested in the enterprise, if not served as a Company Director: the project was completed two years after his 1846 death. Though the ill-fated firm ceased operations in 1852, the watercourse powered Hardestys' Malvern mills for years to come. Ultimate failure – in return on investment – ensued financial outlay ... yet the venture no doubt widened vision of dispersed economic capacity among his sons. Thomas' listing in the 1860 census – as a Malvern miller – attributes $13,250 for real estate holdings ... double that of Haines', and on the order of brother George, ensconced at Hardesty Homestead. At $4650, his personal estate nears equivalence with Haines and George. Thomas acquired Dover City Mills at Canal Dover, Ohio, in 1866. According to Lee, Hardesty "retired from active life in 1868, and died in the following year at the age of fifty-four." I do not know where he was interred. I believe we can deduce that whilom banker Thomas was a principal capitalist in Haines, Hardesty & Co. at time of the 1862 explosion. In his will, dated 28 December 1869, Hardesty's executor was to disburse $14,000 ... in shares of the Exchange Bank of Baker and Hardesty. In the likely year of his death, the 1870 Merchants and Bankers Almanac carried entry for the private bank of Baker & Hardesty, at Canal Dover. The New York-based investment firm of Winslow, Lanier & Co. acted as correspondents for the enterprise. Without giving clue to its business pursuits, or span of operations, Hardesty's will also referenced "the late firm of Hardesty and sons." Haines-Hardesty partnership was broad; incorporating one known associate not mentioned in the firm's name. I can assure you that expanding, inter-generational narrative allows me to tussle with 'wild confusion' in my own reporting. 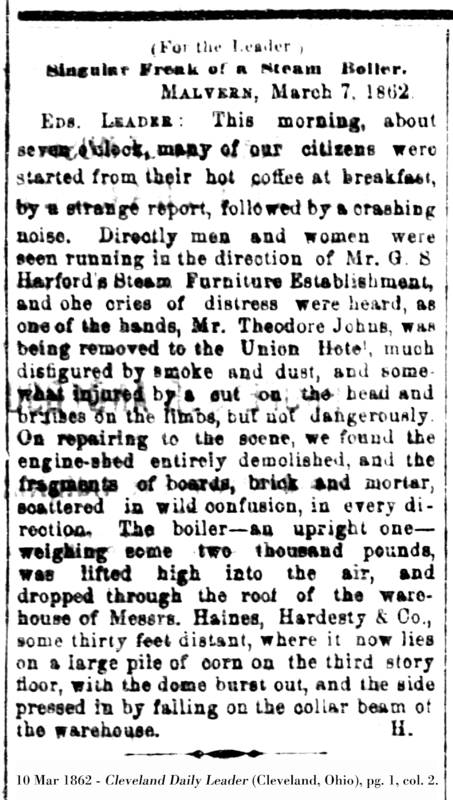 Demise of Haines, Hardesty & Co. did not immediately follow Thomas' death. Thomas' only sons, Alonzo Hanes (1846-1892) and William A. Hardesty (1848-1908), almost assuredly perpetuated partnership with Haines and remaining financialists following their father's death. The pair did team up ... as Hardesty Brothers ... to profoundly expand the milling operation they'd inherited from their father. Substantial business acumen distinguished this pair among Lee's "legion of successful millers." 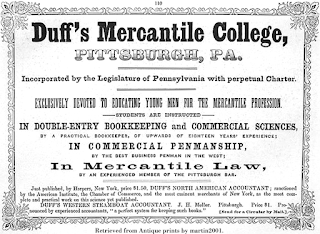 After primary education at Malvern's one-room schoolhouse, William (who, with brother Alonzo, did serve the Union Army in Civil War) attended Duff's Mercantile College at Pittsburgh, the nation's first business college. 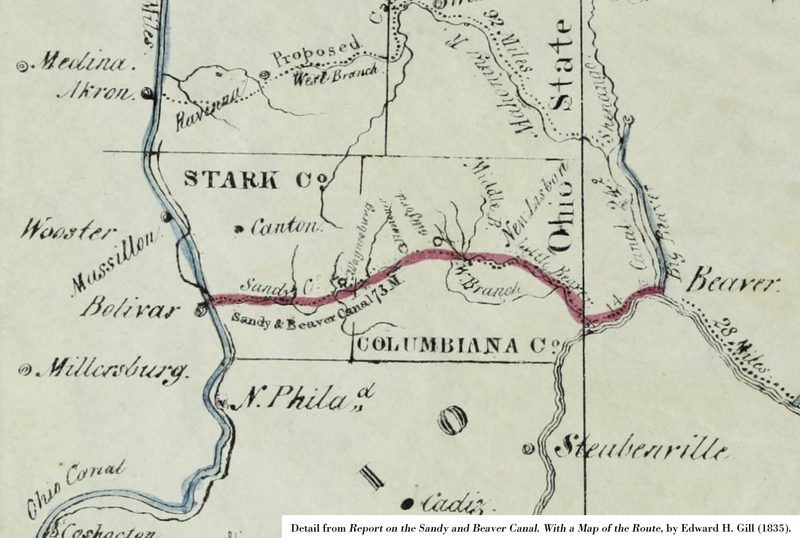 The Hardesty brothers were at Canal Dover in Tuscarawas County, Ohio ... and accumulating $8500 in mill profits annually by 1870 ... when each married. Alonzo took as his bride Mary Catherine Baker (1849-1914). Importantly, she was eldest child to Philip Baker (1812-1881), who is readily identified as 'founder' of the Exchange National Bank, later known locally in Dover as the Baker Bank. I contend the institution was, long before receiving its charter in 1890, initially organized as the Exchange Bank of Baker and Hardesty. President Baker, a man of longevity and high finance, had in the interim served as Director in a stock offering widely subscribed at Canal Dover; his ongoing public profile no doubt submerged that of Thomas Hardesty, a Carroll County-based partner who did not long survive the venture's initiation. Twenty-six-year-old Alonzo's real estate was valued at $6000, William's at $5000 in 1870: each is enumerated with $2000 in his personal estate. Hardesty Brothers bought out their major competitor's mill in 1872. Audacious commercial adventuring was a sign of things to come. Oddly, Haines, Hardesty & Co. ... as an entity ... appeared in The Banker's Almanac and Register of 1876 as 'President' of Farmers' Bank. Perhaps the partnership dissolved or was discontinued that year: cryptic listing by The Bankers Magazine, Vol. 31, indicates organization of Farmers' Bank at Malvern changed somehow in 1876. Haines was unspecific as to the date, in his above claim, that he "bought out the whole business." It may be that Haines' broadening interest in politics led to the partnership's demise. 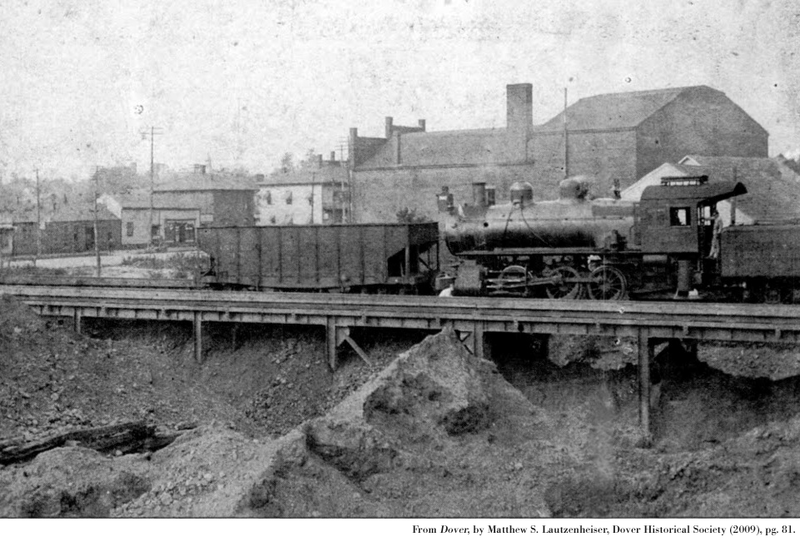 The Hardesty Brothers had not only added to their father's Canal Dover mills, they'd embraced steam power. 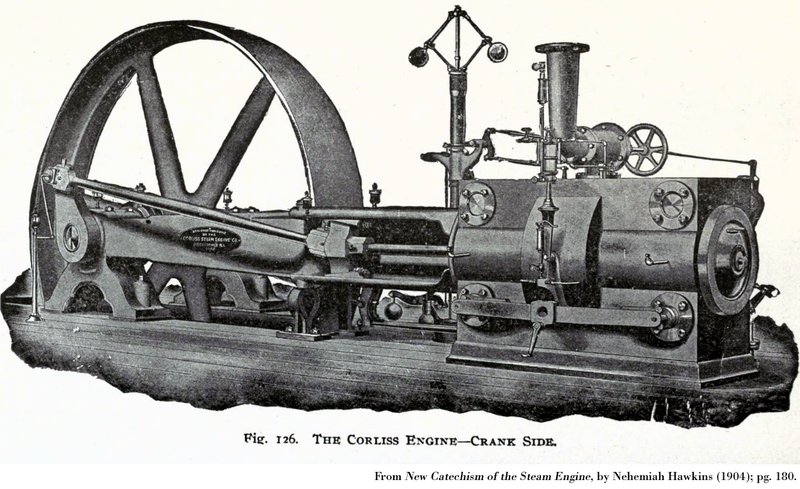 Financing a $3000 Corliss steam engine (left), installed in 1879, no doubt required the men to amass capital: a need for funding may have required the pair to dissolve Haines, Hardesty & Co.. I suspect, however, that the firm's dissolution was occasioned by George Hardesty's 1875 death. He and Haines had been the last two partners at Malvern. Akin to the Haineses, George and Hannah effectively adopted: widow Hardesty would end her days in the Toledo household of Morris H. Brown (c1842-1911). It's difficult to ascertain who inherited from George, but Brown certainly did not step boldly into Hardesty family enterprise. Thomas' sons were certainly on the move: the Hardesty Brothers may have been disinterested in cumbersome financial entanglement. Twenty years their senior, Haines may have obliged them. I found no further reference to the firm, by name. 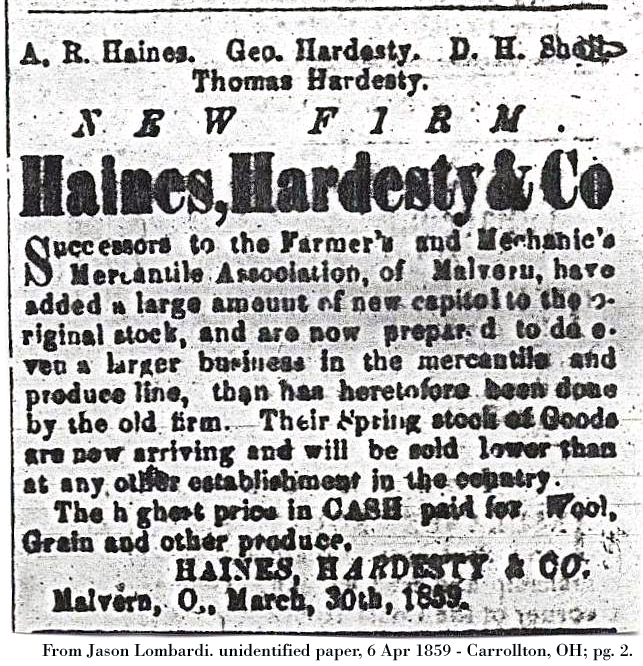 After seventeen years, Haines, Hardesty & Co. likely ceased operations in 1876. I would exceed Lombardi's specific query to carry on much further. Story-telling, however, compels me to lay out for you a bare-bones trajectory of William A. Hardesty and nephews. Each Hardesty brother was enterprising outside the partnership, but their core business branched into branding flour, buying and shipping grain. The Bankers Magazine, Vol. 35 (1881) offered notice that Baker had died: the Exchange Bank at Dover was soon backed by 'P. Baker's Sons & Hardesty.' As she was a Director of the Bank by 1910, this may indicate that Alonzo's bride Mary had – in her own right – by then acted in concert with her financier brothers for at least nineteen years. William A. Hardesty (right) modeled conglomeration. He relocated to Columbus in 1880, where Hardesty Brothers incorporated latest technology to build a thoroughly modern flouring mill from scratch. In ten years he, as President, helmed the Ohio State Savings Bank and Trust Company. Brother Alonzo died, of complications following a fall in a Dover mill, in 1892. William went on to embrace new industrial processes at the coming of the 20th century: he became Vice-President of the Hanna Paint Manufacturing Company, and served on the initial Board of Directors for the Columbus Citizens Telephone Co.. 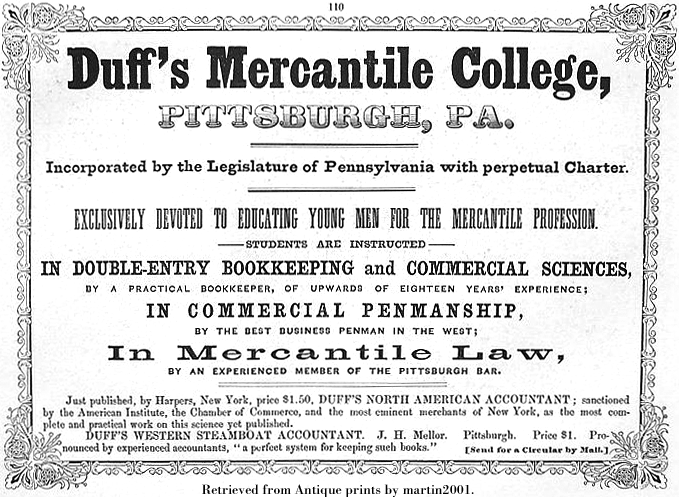 In 1900 the Duff's Mercantile College attendee was a Director of the Columbus Machine Company; by 1903 he served as President of the National Bread and Columbus Varnish Companies ... all while remaining head of the savings bank. Outstanding entrepreneurialism descended along Alonzo Hardesty's line. Forgive me a final discursion. 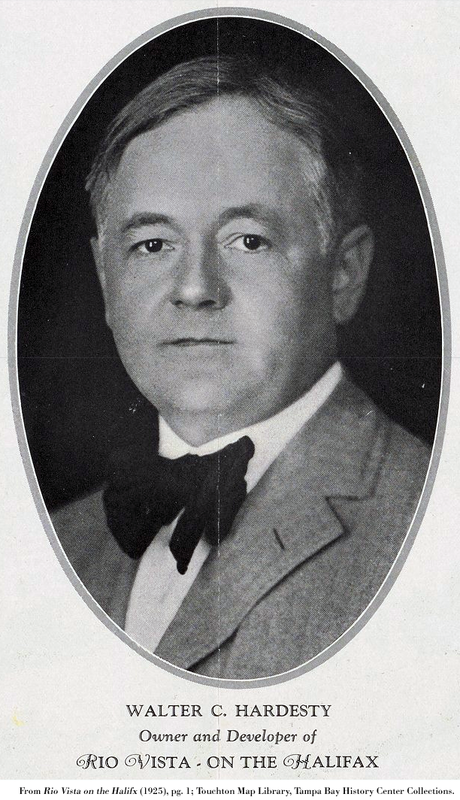 William's only son, Thomas Moore Hardesty (1877-1931) joined Alonzo and Mary's surviving spawn: Harry A. (1871-1955), Walter Collins (1879-1935), Jessie Duncan (1880-1936) and Edgar Alonzo Hardesty (1884-1972). All clerked at Hardesty Brothers, and then rose in the ranks or launched into collateral pursuits. First cousins formed Hardesty Milling Company: it concentrated on flour and grain. Harry operated a seed and grain export business out of New York and London offices by 1900. In 1904 second-generation Hardesty Brothers purchased an opera house at Dover (above left). As a teen, Walter's foot had been amputated following a mill accident. Among other, higher-level responsibilities, the opera house was in his charge.† By the time of his uncle William's death, Walter presided over the Hardesty Manufacturing Company at Canal Dover. 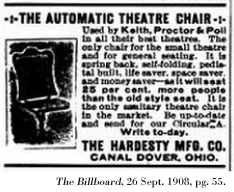 It was likely by his own enterprise that the 'Automatic Theater Chair' was introduced by 1908. Self-folding perches offered several innovations; they were also narrow, and "will seat 25 per cent more people than the old seat," according to a Billboard Magazine ad (above). Embraced modernity made him independently wealthy, as motion picture houses supplanted vaudeville. While dabbling in Republican politics, Walter settled into a real estate career. It was no doubt comfort in such speculation which led him to invest in Florida land ... in advance of boom times. "W. C. Hardesty Realty Co. ... will develop a 350-acre town site and construct roads and streets; install water, gas, and electric lights, park etc." announced the Manufacturers' Record in 1922. The result was charming. 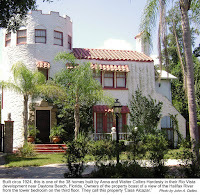 Denizens ultimately erected thirty-eight distinctive, red-tiled, villa-style homes two miles from Daytona Beach. 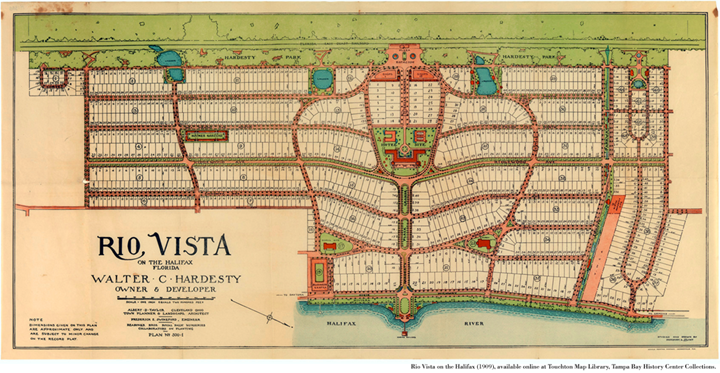 More, beneath the luxuriant Rio Vista plat, drafted by Hardesty's engineer, town planner and landscape architect. 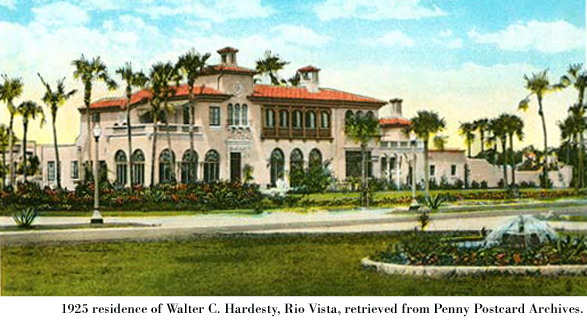 "Rio Vista is not a vision, but a reality," declared Orlando Evening Star advertising, of investment opportunity. 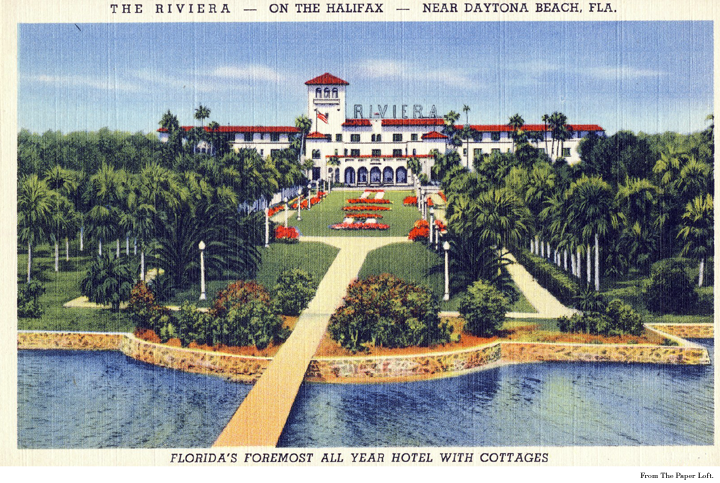 Motor coaches ferried prospects to the property from five Florida offices by 1925. The firm asserted it had already poured a million dollars into the project. No doubt Hardesty's home (right) figured into that calculation. The visionary centerpiece, however was the exotic Riviera Hotel (right). In addition to a casino, the Monte Carlo Grill and a jazz-age piano lounge; the property met needs of trap shooters, golfers, polo and hunt clubs. A three-hundred-foot dock with boat and canoe club on the Halifax River accom-modated yachtsmen. Rio Vista even boasted a zoological garden. Seemingly over the top, guests were to be ferried across the property by gondola. In The Daytona Beach News-Journal, Lane in 2014 credited Hardesty's wife with design of faux Roman ruins (below), a façade psychologically intended to suggest the project's enduring permanence to those receiving first impression by rail. "Complete with columns, vine-covered friezes depicting chariot teams and mysterious stairs" descending into a canal, "they were said to cost almost $50,000 to build." * William Frederic Unkefer [and wife Charity Ann Keith (1837-1905)] would in 1872 name a son for Haines, the father's maternal cousin and one-time business partner. ** One pastime for this blog is to evidence property in historic relationships. Otto Henry Paessler, brother-in-law to Hiram (George and Thomas Hardesty's youngest brother), suffered "no less than $5000" loss when his stocks burned in an 1869 fire at George Hardesty's Malvern woolen mill ... seven years following boiler explosion. Paessler held $2000 insurance; Hardesty the capitalist had none to cover his $3000 loss. Hardesty was worth a whopping $42,000 in 1870. German-born Paessler, seventeen years younger, was enumerated that year as having $4000 in real estate, and $3500 in his personal estate (perhaps reflecting insurance payout). † The one-footed Walter Collins Hardesty (right) was a leading figure among free-thinkers. The Buckeye Secular Union enjoyed opportunity to convene at his Opera House. From The Humanitarian Review, Vol. 7 (1908): "At the evening session, Mr. Walter C. Hardesty, of Canal Dover, pointed out the beauties of practical "Idealism." Not a word too many, not a word too few – a perfect little literary gem, evincing a talent which Mr. Hardesty, who is a quite young man, would do well to put in frequent practice." His bold vision, for the Rio Vista on the Halifax, demonstrated capacity to heed the admonition. ‡ What became of Haines, Hardesty & Co.? "The dry goods store of Haines & Shepherd, of Malvern" was operating in 1874 according to 1890 biography of Willard James Combs (1860-1917). Combs clerked for the firm for six years, from the age of fourteen; he wed Albert and Almira Haines' daughter Joetta (1861-1946) in 1883. As Combs was three years later buying and selling grain in Altoona, Iowa ... for Albert's younger brother, Thomas Eakin Haines (1831-1908) ... I cannot definitively state Albert Haines partnered with the unidentified Shepherd, following demise of Haines, Hardesty & Co..
§ Anna, born in Sabetha, Kansas was daughter to merchant Henry Clay Haines (1844-1924), born at Canal Dover, and himself son of Marylander Samuel Haines (1810-1891) who died at Canal Dover ... when Albert R. Haines, of Haines, Hardesty & Co. was sixty-five years old and at Malvern. Bold face indicates the author's direct ancestor. 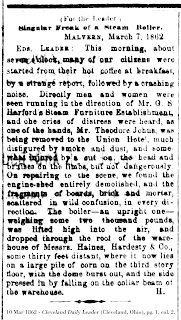 Theodore W. Johns (1841-1896) may be the party slightly wounded in the 1862 explosion at Malvern. An unsourced online tree has him marrying less than 90 days later: daughter Nettie was born at Minerva in 1874. I found nothing on Mr. G. S. Harford, owner of the demolished Steam Furniture Establishment. I extend appreciation for archivists, and the Ohio Historical Society at Columbus in particular. 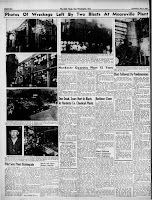 The Library of Congress was able to digitize Cleveland Daily Leader reporting, upon which this post is based, due to the organization's preservation of source documents. Further research: Index to Notices in the Canton Repository 1850-1875 at Stark County District Library in Canton, Ohio indicates a 19 March 1875 obituary for George Hardesty may be available. Dayton Metro Library may have Haines' obituary in the Dayton Daily Journal. 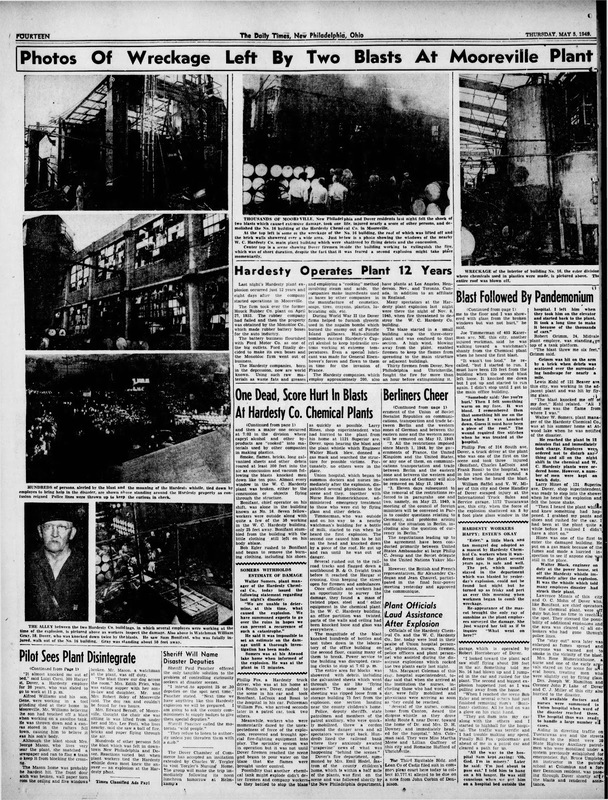 "Blast Followed By Pandemonium:" an explosion rocked Dover, Ohio on 4 May 1949. It killed at least one man employed by the New York-based Hardesty Chemical Company. Six workmen were hospitalized, scores injured. Debris discharged five hundred feet into the air, to cover many adjacent blocks. The manufactory was subsidiary to the W. C. Hardesty Co., Inc.; those initials make it exceedingly likely that the company President was named for Walter Collins Hardesty or his son of the same name. Reporting (right) continued on page fourteen, in just one of the papers circulating dozens of first-person accounts of this disaster. Most Hardestys referenced in the post are depicted below: it is not a full descendant chart. I don't moderate messages. Feel free to post. © Roger David Hardesty, hardspace.info. Simple theme. Theme images by luoman. Powered by Blogger.